Overcast skies and strong showers are expected across the Northeast this weekend. Winds will be off of the Atlantic Ocean, allowing for the formation of scattered thunderstorms. Heavy downpours with flash flooding are possible, with flash flood watches already issued for parts of Delaware, Pennsylvania, New Jersey, New York, Connecticut, Rhode Island and Massachusetts. Rainfall accumulations of up to 3 inches are forecast for Washington, D.C., Philadelphia and New York. Parts of New York state, north of the city, and Connecticut, in the New Haven area, could see up to 6 inches through Sunday night. Strong thunderstorms with heavy downpours were reported across much of Texas on Friday. Over 4 inches of rain fell in about eight hours in Emhouse, Texas, just northeast of Waco. A low over northern Mexico and a high over the Gulf of Mexico have been and will continue to work in tandem and steer humid air over Texas. Scattered thunderstorms are likely for much of central Texas through Sunday evening. Some areas, like Del Rio and Waco, could see over 6 inches of rain the next two days. Flash flooding is likely in these areas, especially in locations that experienced soaking rains Friday. 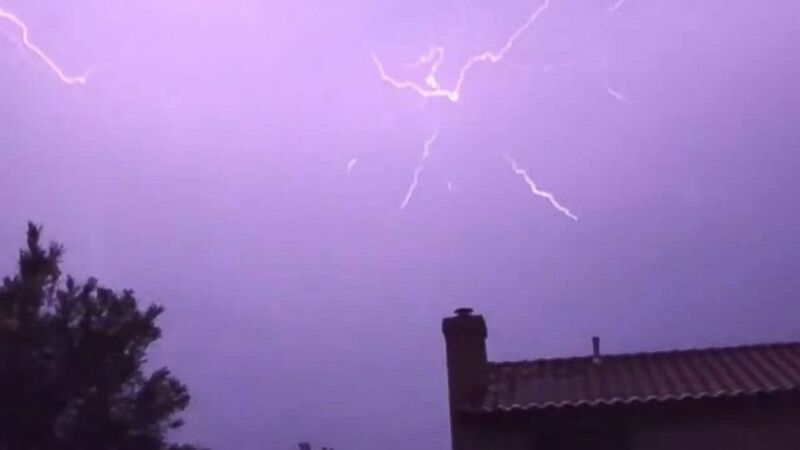 Another round of monsoon storms hit Arizona overnight Friday. Phoenix was under dust storm, severe thunderstorm and flash flood warnings, and more than 13,000 were without power at one point Friday evening. Rain totals exceeded an inch in some locations; Phoenix set a daily record with 0.56 inches on Friday. Relief from neither the record-high temperatures nor fire danger are expected in the West and Northwest on Saturday as winds continue to flow from the south, bringing hot and dry air into the region. Winds in this area will gust up to 35 mph, leading to a dangerous and rapid spread of wildfire. Red flag warnings extend from California to Montana. High temperature records were smashed in the west on Friday, including in Boise, Idaho (110 degrees); Havre, Montana (105); and Glasgow, Montana (107). Temperatures this weekend will reach into the 100s in the Northwest. As a result, heat advisories and excessive heat warnings are in effect in Idaho and Montana. This heat wave will be short-lived, however, as temperatures drop considerably at the beginning of the work week.